TeamMates began its Mayors for Mentoring campaign in July of 2015, starting with the support of several mayors who have been long-time supporters of TeamMates and mentoring. 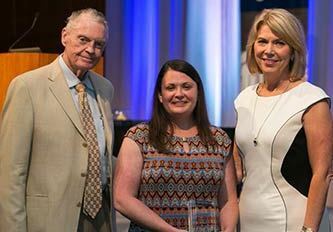 Since then, the campaign has grown to include 13 mayors in Nebraska and Iowa who are issuing proclamations in support of mentoring, leading recruitment efforts, and encouraging their city employees to mentor through TeamMates. Each of our Mayors for Mentoring are listed below, along with what they are currently doing to support our program. A big thanks to our mayors for their incredible work on behalf of TeamMates and the youth in their communities! MENTOR, the National Mentoring Partnership, has a national Mayors for Mentoring Campaign devoted to recognizing mayors for their efforts to support and develop quality mentoring partnerships and programs in their city. You can find information on the national campaign here or on MENTOR’s campaign website. If you or your mayor is interested in learning more about the national campaign and what it takes to be recognized by MENTOR, please contact Hannah Miller. TeamMates Mayors for Mentoring campaign is based on MENTOR’s national campaign but recognizes all mayors that are actively supporting TeamMates by mentoring, serving on their chapter’s board, or are working to create a culture of mentoring in their community. J.W. “Jack” Berg, Bridgeport, NE – Mayor Berg is a long-time supporter of TeamMates, mentoring and serving as recruitment chair for TeamMates of Bridgeport. 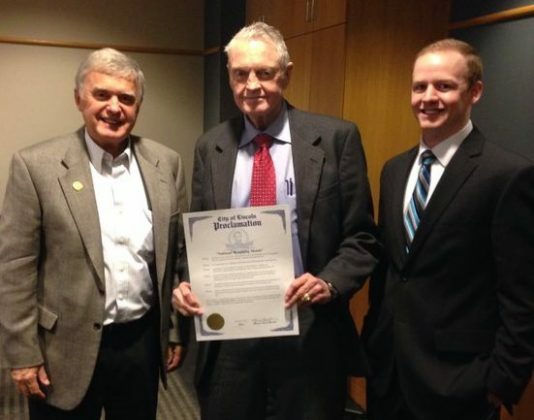 Chris Beutler, Lincoln, NE – Mayor Beutler is exploring ways that the city can support TeamMates of Lincoln and issued a proclamation for National Mentoring Month 2016. Ken Everingham, Stromsburg, NE – Mayor Everingham was matched with his mentee during the 2014-2015 school year. Ken looks forward to building his relationship with his mentee in their second year together through TeamMates of Cross County. Gene Gettys, Harlan, IA – Mayor Gettys has served on the board for TeamMates of Harlan since 2011. Don Groesser, Ralston, NE – Mayor Groesser joined the campaign in 2016 by issuing a proclamation for National Mentoring Month. Marty Hayes, Brownville, NE – Mayor Hayes joined the Mayors for Mentoring campaign in 2016, issuing a proclamation in support of National Mentoring Month. Marlene Johnson, West Point, NE – Mayor Johnson issued a proclamation for TeamMates of West Point-Beemer-Bancroft during National Mentoring Month 2016. Scott Kudrna, Auburn, NE – Mayor Kudrna issued a proclamation for National Mentoring Month in 2016 and supports TeamMates of District 29 in multiple ways throughout the year. Paul Lambert, Plattsmouth, NE – Mayor Lambert began mentoring with TeamMates of Plattsmouth in the fall of 2015. Jay Moran, Peru, NE – Chairperson Moran issued a National Mentoring Month proclamation in 2016. Rodney Norrie, Geneva, NE – Mayor Norrie has mentored with TeamMates since 2013. He is an active supporter of TeamMates of Fillmore County and looks forward to continuing his relationship with his mentee this school year. Jim Realph, Blair, NE – Mayor Realph has supported TeamMates of Blair since it began as a chapter. He joined Mayors for Mentoring in 2016 and is exploring ways to involve city employees in mentoring. Sue Fuchtman, Norfolk, NE – Mayor Fuchtman participated in Norfolk’s Mentor Appreciation Open House for National Mentoring Month 2016 and will promote TeamMates throughout the year. Matt Walsh, Council Bluffs, IA – Mayor Walsh issued a proclamation in support of mentoring for National Mentoring Month 2016 and is supporting efforts to recruit city employees as mentors. Below are some ways that your mayor can get involved with the Mayors for Mentoring campaign. For information about the campaign, ways to engage your mayor, and resources your mayor can use, please contact Hannah Miller. Become a Mentor with TeamMates. Serve on the TeamMates board for your chapter. Provide city employees with time to mentor during the work day and issue a statement in support of them doing so. Issue a proclamation in support of National Mentoring Month. You can find a sample proclamation here. 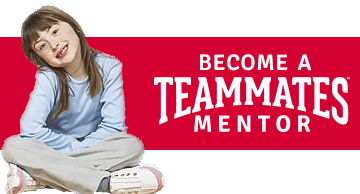 Start a city-wide campaign to recruit mentors and support your chapter financially. Post information about TeamMates and mentoring on social media. Write an op-ed piece on mentoring for your local newspaper. Host a meeting with local school, business, and community leaders to discuss ways they can support mentoring in your community.